For an updated version of this story, click here. For commentary from Larry Edelman, click here. Biogen Inc. plummeted after the biotechnology giant said Tuesday that its experimental Alzheimer’s drug was unlikely to be effective and that it was halting its research, in another setback for drugmakers’ efforts to find a therapy for the neurodegenerative ailment. Shares dropped as much as 29 percent in heavy trading, knocking about $18 billion out of the company’s market value and marking its biggest intraday stock drop since 2008. The Cambridge-based company and partner Eisai Co. said that they would discontinue two late-stage trials designed to evaluate the efficacy and safety of the drug, aducanumab. The results showed that the drug was unlikely to help patients, the companies said in a statement. The tests didn’t reveal serious safety concerns. “This disappointing news confirms the complexity of treating Alzheimer’s disease and the need to further advance knowledge in neuroscience,” said Michel Vounatsos, Biogen’s chief executive officer. Biogen is still studying other, earlier-stage compounds, and is continuing to work with Eisai on two other drugs, said David Caouette, a Biogen spokesman. Caouette declined to say whether the failure would affect a decision on whether to continue with plans for two other Alzheimer’s drugs, known as BAN2401 and elenbecestat. Eisai declined to immediately comment. The development will raise questions about Biogen’s future. It’s one of a handful of large biotech firms whose market value has been highly dependent on experimental drugs making it to market -- and selling well once they arrive in pharmacies. But the magnitude of the blow Thursday could make Biogen vulnerable to acquisition by a bigger suitor, or force it to go shopping for a large enough asset to replenish its labs with something of similar potential. 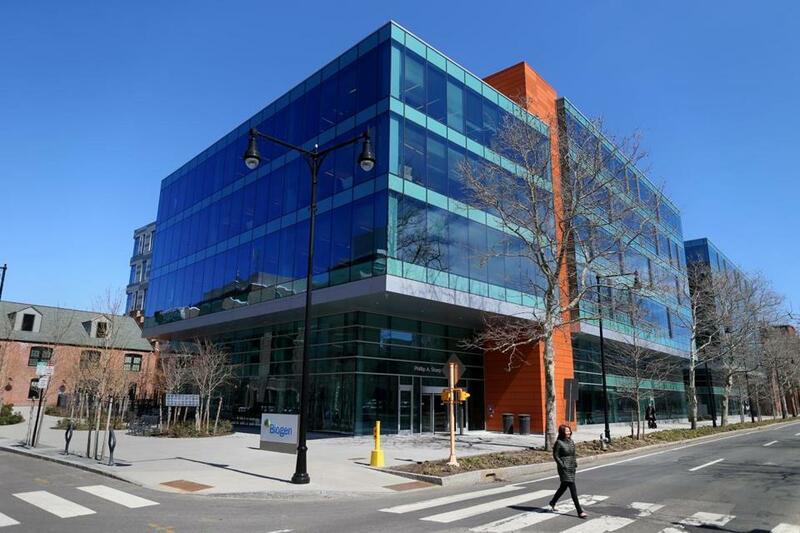 The development is a “transformative failure for Biogen’s pipeline,” said Brian Abrahams, an analyst at RBC Capital Markets, who had the equivalent of a hold rating on the stock. For drugmakers, expensive, ambitious attempts to find an effective treatment for Alzheimer’s have failed again and again. Drugs that looked promising in early tests have come up short when tried in larger groups, frustrating pharmaceutical executives, doctors and patients. Last year, Pfizer Inc. stopped trying entirely to find Alzheimer’s therapies, shutting down its research on both it and Parkinson’s disease and cutting about 300 jobs. Like many others, Biogen’s drug targeted a compound in the brain known as beta amyloid. Swiss drugmaker Roche Holding AG is continuing to pursue its own drug targeting beta amyloid, persisting despite setbacks. After its candidate, gantenerumab, failed an earlier test four years ago, Roche decided to ratchet up the dose and try again with a pair of big late-stage trials. Results from the studies aren’t expected for about another two years. Roche mostly abandoned a second beta amyloid compound this year, halting two large studies after concluding they would fail. Roche’s partner on the second compound, Alzheimer’s specialist AC Immune SA, at one point fell more than 12 percent in premarket trading in New York. Over the last three years, Biogen has spent $743 million on the research and development of aducanumab, and an additional $93 million on sales and marketing of the drug, according to a Securities and Exchange Commission filing. Biogen and Eisai have been working on two Alzheimer’s drugs, conducting large trials in parallel to figure out which might produce promising enough results to try to get approved. Biogen had been developing aducanumab largely on its own until 2017, when it agreed to work with Eisai. BAN-2401, the other experimental medicine the companies are developing together, is still being studied.